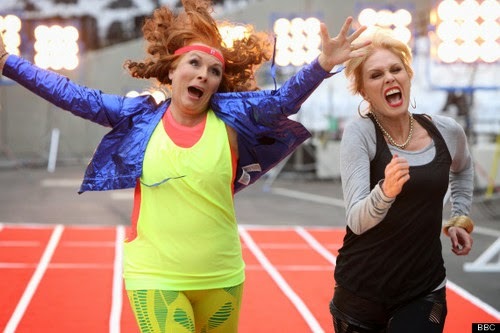 Edina and Patsy running. I think it was a vodka run though. I've never been a big runner. While some see running as a way to connect with nature, the steady thump thump thump of new sneakers on the pavement, I always viewed it as a punishment. In school, if you screwed up, your mistake was met by a loud "RUN" from the gym teacher. I dreaded running laps in the school gym. I loved playing basketball until 8th grade. I was never going to be awarded a scholarship for my Mark Price style jump shot, but it was fun, until my 8th grade coach. His philosophy was that we were going to run until someone threw up. Every day. Keep running until someone barfed. Maybe I just didn't have the killer competitive drive in me, but I did not find vomiting on the court to be fun. Something happens when you hit your 30s or 40s. For some reason, there is a desire to run. Run away from things, run to things. Running is a quiet, solo sport. You can be alone with your thoughts or Eminem's through your Beats. In our ever connected life, running is the one thing you can't multitask at. Well, you shouldn't. I once tried to tweet while running. Not my finest moment. The starting line for the Monumental Mile. My Facebook timeline is full of middle aged folks running. Pictures of smiling faces with number tags on their shirts, hair pulled back in pony tails. More pictures of neon colored tennies, ready for that job through the woods. So, not to be left out, I gave it a whirl. 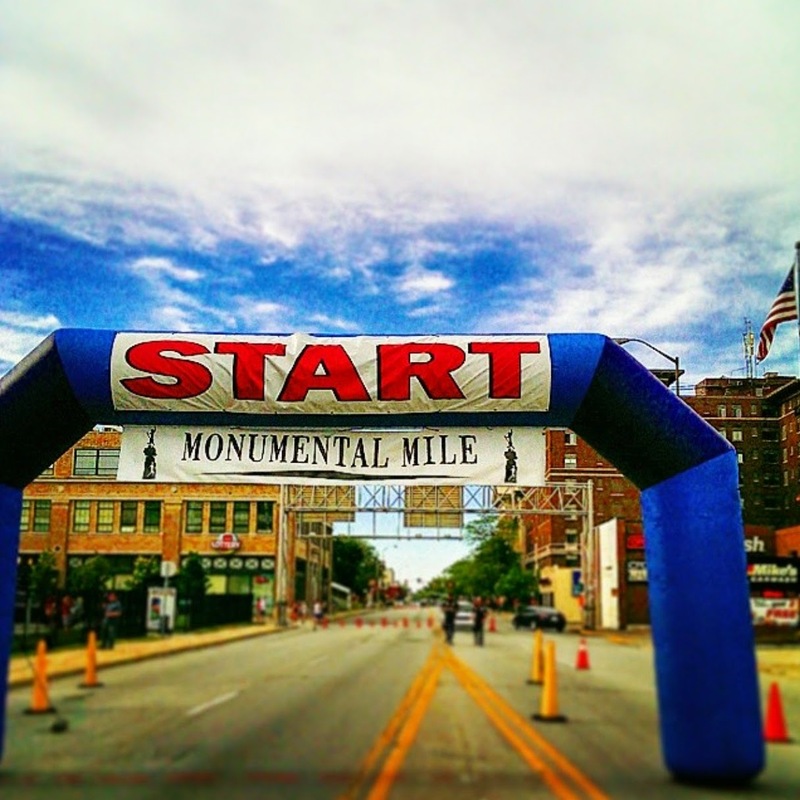 I participated in my first Run - the Indianapolis Monumental Mile. It looked easy enough. I can walk a mile. Certainly, I can run a mile. About 100 yards into the run LEG CRAMPS. Look, I know I poked fun at Lefoolio and his leg cramps, but, wow, was that painful. I was determined to finish in my run, walk, walk, run fashion. Traffic was halted as I hobbled through intersections. With each step, I contemplated just scooting over to the side of the street and tapping out. I'm really not a runner. I was however, determined to beat the lady pushing a double baby carriage. I think she may have even been breast feeding at the time too. I crossed the finish line in a triumphant leap. Then, I had a beer and a cookie. It was what all the other runners were doing. After some training, I want to try a 5K. There was a sense of overwhelming pride in walking around with a number safety pinned to my shirt. It felt nice. It will feel nicer to cross it off my bucket list and move on to something new. Or not. Only time and my shins will tell. But more training, and a new sports bra. Two very important things I did not properly consider. Are you a runner? Tell me about your adventures in the comments. 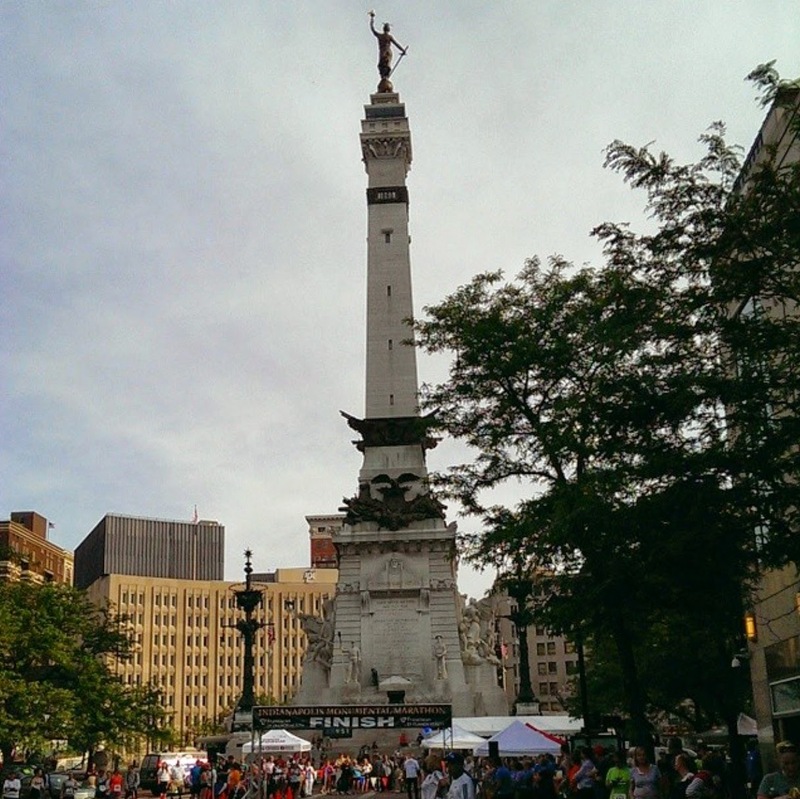 The finish line at Monument Circle. I was about 320 when I started the Couch to 5k running program. I eventually got down to 240 (currently 260) and have ran multiple 5ks and the Winking Lizard Shot in the Dark. Unfortunately, running is very hard on your body and I have had multiple injuries; heal spurs, plantar fasciitis, and a slipped disc in my back. My advice - go slow, get good shoes for your body and gait, and stretch often. It is a great stress reliever and I honestly can say I miss it when I can't run.